After day one of the Sweden Rock Festival I went back to the fine little motel I was staying in to get some sleep. The rain didn’t stop until the early morning, and after only five and a half hours sleep I got served a wonderful and healthy breakfast which included delicious homemade bread, jelly, bacon and other fine stuff. Once I was done eating I drove by car to the festival, because at 11:30 a.m. Swedish metal pioneers OZ were set to play on the ‘Zeppelin’ stage. A mere ten minutes before the show I stood in front of the stage and awaited the first band of the day. OZ played straight in your face music, and the four Swedish and one Finnish rockers finally won over the crowd with their closing track “Fire In The Brain”, an old cracker from the late ’80s. 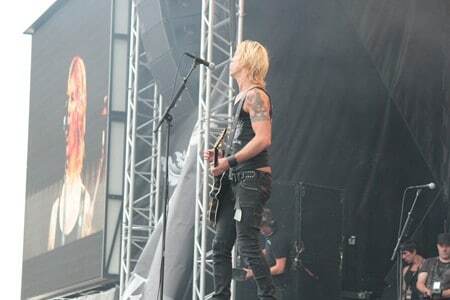 After that dose of power-metal I switched over to the ‘Rock’ stage where Duff McKagan’s Loaded was performing a 75 minute set. 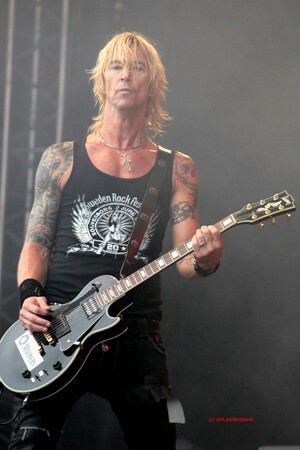 Loaded were a big surprise for me by playing pure old hard rock with a very sympathetic frontman known as Duff McKagan, formerly of… who really cares? 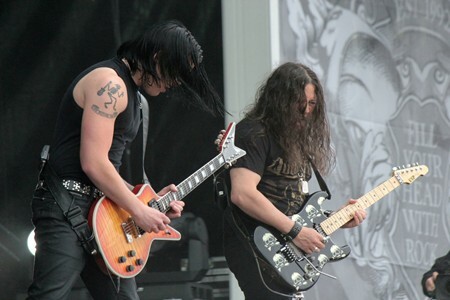 Loaded played more rock than metal, and this is one of the fascinating things about Sweden Rock Fest — the amazing mixture of old-school metal, modern metal, sleaze/glam metal, rhythm & blues hard rock, southern rock, and death/thrash metal. There is a wide range of sounds that gives everybody something to enjoy. “I know you, I saw you yesterday at the record store where we had a signing session”, began Duff, “Your name is Christopher. You see I do remember you. 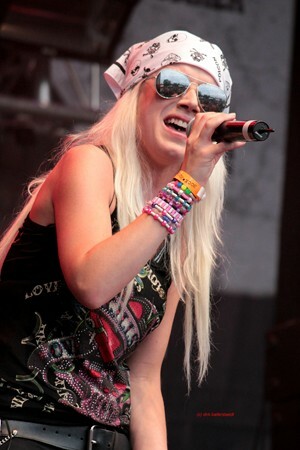 I’m not a rockstar or something like that. By the way, we were at this record shop and — this is like Spinal Tap — they didn’t have our CDs there!” That was a very cool thing for Duff to say, and I enjoyed the show very much. 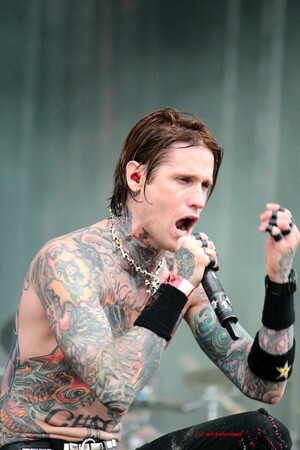 After Loaded it was up to Buckcherry to rock the biggest stage, the ‘Festival’ stage, and as they jumped on it was like a hurricane with rolling thunder. 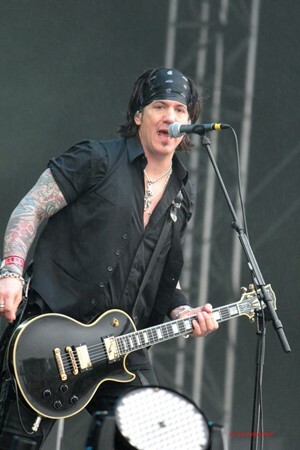 I first saw Buckcherry on their support tour through Europe with KISS back in 1999 — they had just released their debut album back then, and in the meantime have released no weak albums, just straight ahead rock ‘n’ roll with a melodic edge. They didn’t play songs like “Onset” and “Never Say Never” at the festival, but they gave us hymns such as “All Night Long” and “It’s A Party”, along with the ballad “Sorry” and the furious “Lit Up”. So far day two of the festival had been nothing but highlights, and I was hoping for more when I went back to the ‘Rock’ stage where Joan Jett & The Blackhearts (who don’t play in Europe that often) took the stage. Minute by minute the audience grew with thousands of people, mostly girls and women, and I was a bit surprised that Joan Jett is that famous in Sweden. 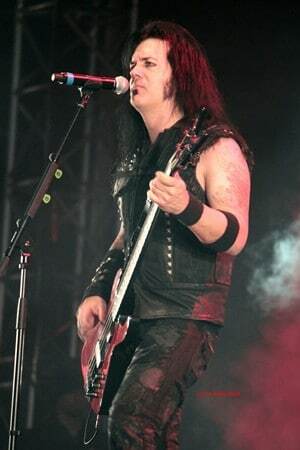 But the Swedes have good taste, and they absolutely prove that with this huge four day festival event complete with some of the coolest and most entertaining bands — including Joan Jett & The Blackhearts. With the first song “Bad Reputation” there was only shake, rattle and roll — just a girl and three boys on stage playing short and epic rock songs, it was just the right formula to get in the mood on a Thursday afternoon. 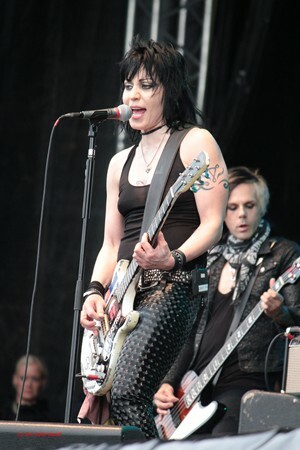 Joan Jett played “I Hate Myself (For Loving You)”, tracks from her Runaways days such as “Cherry Bomb”, “School Days” and “Wait For Me”, then onto “Crimson And Clover” and finally her big hit “I Love Rock ‘N’ Roll”. It was another energetic 75 minute set that got people’s feet stomping and their heads shaking — it was great! There was no time to rest before heading back to the ‘Festival’ stage and awaiting the return of Queensryche, one of the ’80s top epic metal bands. With their latest recordings it seems Queensryche have lost their way a bit, but to be honest it will always be difficult to write albums as incredible as the self-titled debut EP, ‘The Warning’, ‘Rage For Order’, ‘Operation: Mindcrime’, or even ‘Empire’ and ‘Promised Land’ — those are the untouchable highlights in Queensryche‘s catalogue and the reason why this band has a place in ‘metal heaven’ regardless of what they do on new recordings. 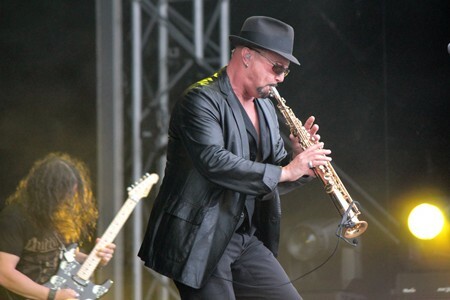 And that’s the misery of Queensryche — when singer Geoff Tate and the other band members perform the standards like “NM 156”, “Walk In The Shadows”, “I Don’t Believe In Love”, “I Am I”, “Empire” and the smooth orchestral “Silent Lucidity” the fans lay down in respect and hail the metal heroes. 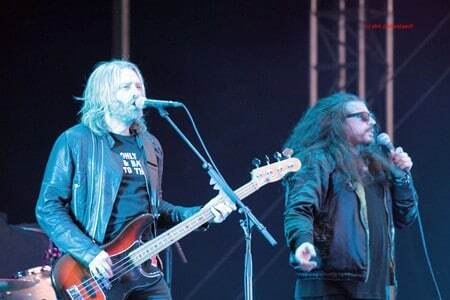 But when they play newer stuff from the albums ‘American Soldier’ and the recent ‘Dedicated To Chaos’ it’s difficult for the die-hard fans who love their band, and the vast majority, who only want to hear the songs from before 1994. Personally I feel a bit torn, because I was raised on songs from 1983 to 1993 when Queensryche were one of my favorites. 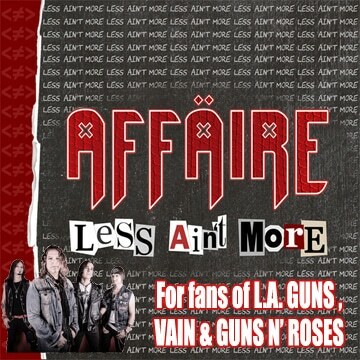 I still remember seeing one of their shows in Fresno back in 1989 (with Warrant as support, and the fans forced the Hollywood glam rockers to stop their program after a mere 20 minutes), and that show remains one of the highlights in my life. It was all so perfect — the music, the band, and the concept. 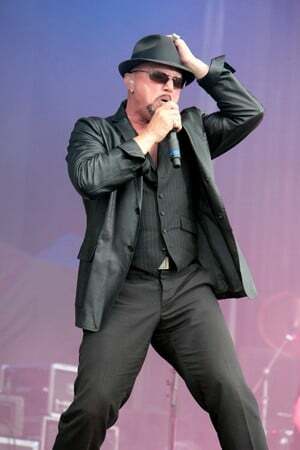 I hope the fans will give Queensryche a chance again because I, and several others, still care. Leaving that show behind I switched to the ‘Sweden’ stage to see what Moonspell was doing. It was dark and satanic metal, the fists with the two horns in the air — was this a black mass or what? Lots people liked it and pushed against the stage barricades but I didn’t get the message between the words — it was all about horror, vampires and eternity. 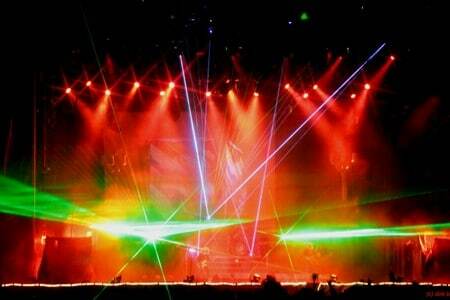 However, what was great about the music was the atmosphere that the songs conveyed, and I’m serious about that. 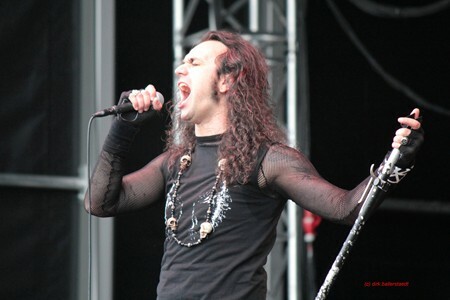 Moonspell doesn’t do death/thrash metal, their songs have melodies in the structures and that’s what I like — something like Venom, a British trio with humour and a razor-sharp sound that emerged long before bands like Slayer were born. 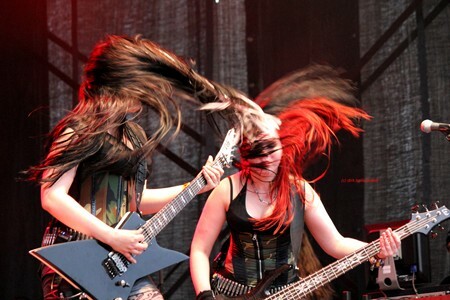 Then two Swedish all-female bands performed on the ‘Rockklassiker’ stage, the first being a glam rock outfit called Spitchic followed by the thrash metal band Frantic Amber who banged their heads like there was no tomorrow — but I quickly had to change stages again. Accept were ready to rock the (mostly) Swedish crowd, and the thousands of fans again proved that classic old-school metal is very popular these days. 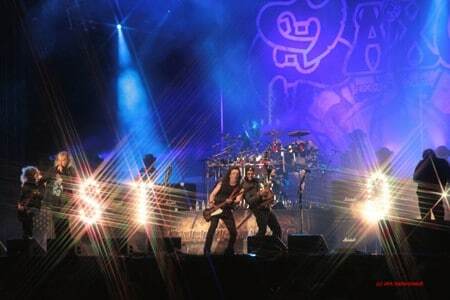 With their classic hymns “Metal Heart”, “Fast As A Shark” and “Balls To The Wall” Accept refused to rest or slow down — their show was simply heavy metal from my home country of Germany and the fans liked it a lot. 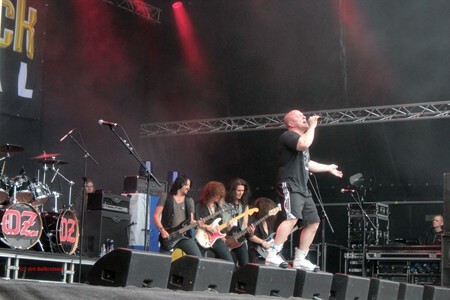 After Accept‘s full metal earthshake it was back to energy-rock with The Cult on the bigger ‘Festival’ stage. 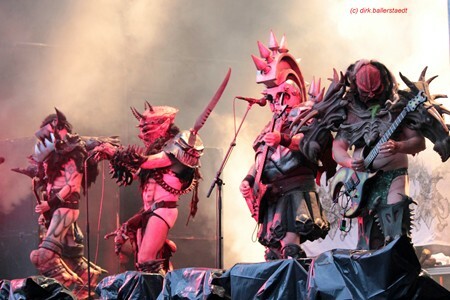 The multi-platinum British band, with original members Ian Astbury (vocals) and Billy Duffy (guitar), started performing a good show, but after a couple of songs I moved on to GWAR to have a little laugh at the costumed musicians. It was typical American entertainment, sometimes making very little sense, and after a little dose of the image-first rockers I decided to return to The Cult‘s show to get my fill of serious rock ‘n’ roll. 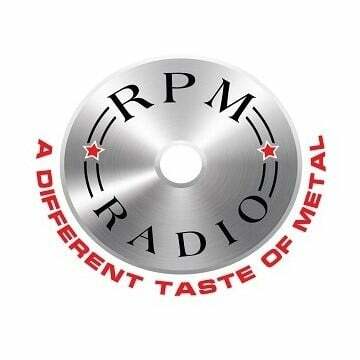 Then I had to decide whether to go to Morbid Angel or Saxon as both were playing at the same time. I had seen Saxon only five days ago in my hometown, but I decided to stick around and see them start with the opener “Hammer Of The Gods” and then display a massive and big light show while playing classic metal songs from the glorious days like “Princess Of The Night”, “Denim And Leather”, “The Eagle Has Landed”, “Dallas 1 PM” and the list goes on. 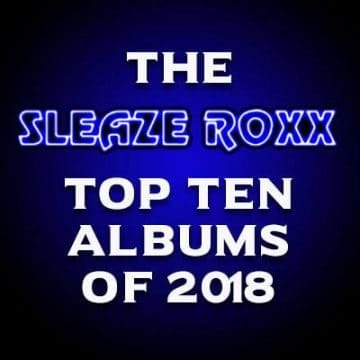 Finally one of the most anticipated songs, “Strangers In The Night (Flight 101)”, was played and that’s what these English metal warriors gave their fans — the all-time classics from the band’s history, and a few new songs that gave you extra time to buy another beer, before the next smash hit made your ears ring. So I only watched Morbid Angel for about twenty minutes, and even though they weren’t bad, I preferred to spend my time with Saxon and started heading back to their show. 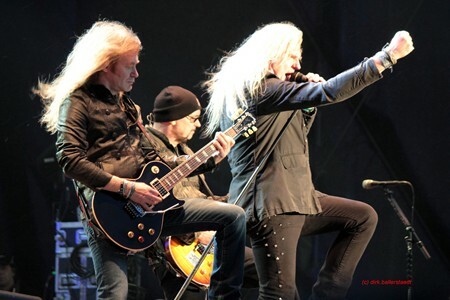 While crossing the ‘Rockklassiker’ stage again there was another Swedish band performing called Meanstreak who played some power melodic-metal and weren’t that bad either, but I wanted to rock with Saxon again — and that’s exactly what I did. Just when I thought I had seen the ultimate show of day two I was quickly proven very wrong. 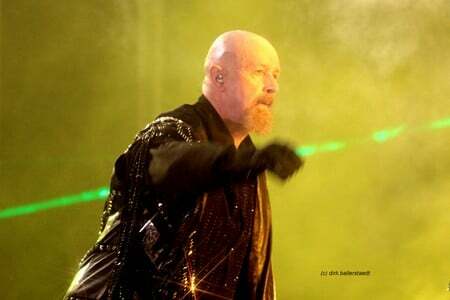 At 11:30 p.m. the massive audience of about 25,000 people awaited none other than the real metal Gods Judas Priest, who are on their last world tour. 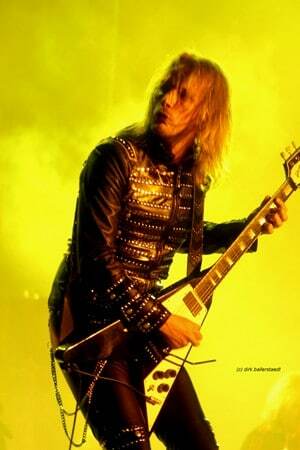 Called the ‘Epitaph Tour’, Sweden Rock could be Judas Priest‘s last ever performance in Sweden. Then again, remember how many bands have embarked on ‘farewell’ tours only to continue touring to this day (maybe they can’t let go of that wild rock ‘n’ roll circus)? No more world tours? Will they now tour outer space, and if so are there tickets available? Just kidding. Everybody was excited and electricity filled the air as Judas Priest‘s show started with “Rapid Fire” from the ‘British Steel’ album and thousands of people went crazy! 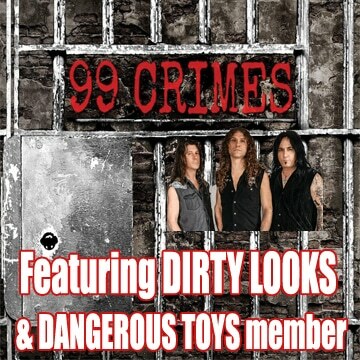 “Judas Rising”, “Metal Gods”, “Turbo Lover”, “Heading Out To The Highway”, “Never Satisfied” (very cool, isn’t it? ), “Blood Red Skies”, “Starbreaker”, “Victim Of Changes”, “The Sentinel”, “Painkiller”, “Beyond The Realms Of Death” — the setlist was an offering that no one could complain about. 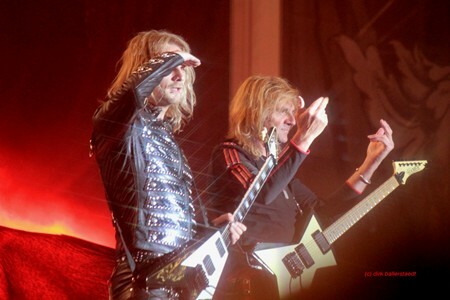 Standing next to me were people from Italy who were travelling to Judas Priest shows across the world and going crazy — they were die-hard MF fans… I like that. 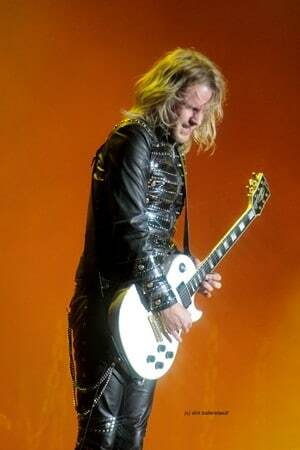 I saw newcomer Richie Faulkner, who replaced K.K. Downing on guitar (for what reasons I can’t tell you, I’ve only heard the rumors), at the press conference two hours earlier, and with sunglasses on he looked like a very young K.K. — I thought that maybe we were all in for a big surprise with K.K. returning and Judas Priest making the announcement at Sweden Rock. OK, I was wrong — but to be honest Judas Priest put on a killer show, and when you realize the ages these men are it makes it even more impressive. 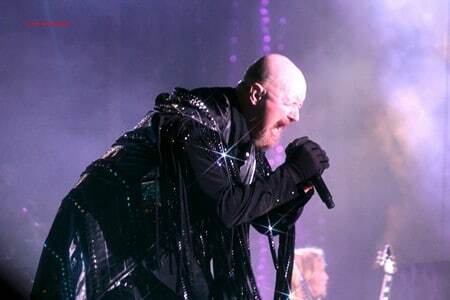 They can deliver after all the years in heavy metal, and just look at singer Rob Halford who seems even more addicted to metal than he was in the late ’90s. And as his voice is concerned the higher screams sounded very good at this show and the Judas Priest fanatics were all satisfied… and so was I. After thirteen hours of rock/metal and mostly standing in the fields all day for you, my Sleaze Roxx maniacs, it was time to head off to bed for another five or six hours sleep before getting back into my sneakers for some more heavy metal and hard rock the following day. Day 2 of the Sweden Rock Festival was the best day yet, but let me tell you one thing; the surprises went on and highlights kept on coming!